Please consult this sizeguide to determine your size. On the left the sizinglabel from Retrolicious, the other columns our sizing indications with the corresponding bodymeasurements. The fabric does not contain stretch. The model is about 1.70m Made in the USA. New collection! 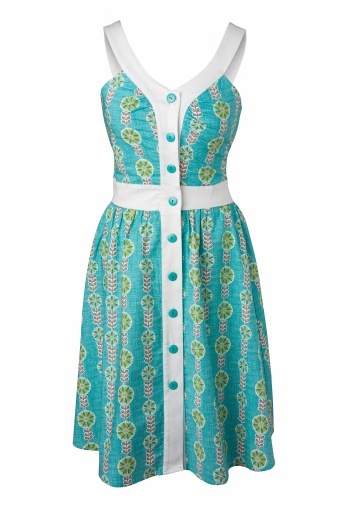 The Caroline Retro dress from Retrolicious. 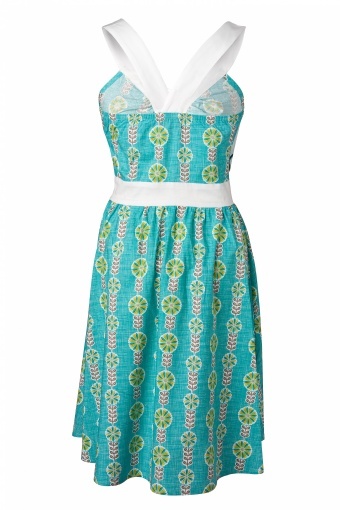 Who could resist this fun summer dress in eyecatching retro sixties graphic floral print in turquoois / mint? Graceful v-neck with pleated detail for a perfect fit. 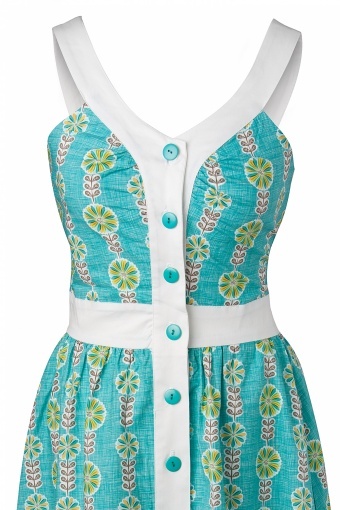 Nice detail: the straps at the back. Elastic seaming at the back for a perfect fit. 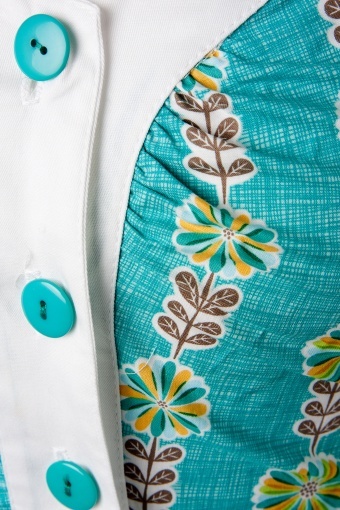 Front button closure and ending in a subbtle A-line skirt. Made of 100% cotton. 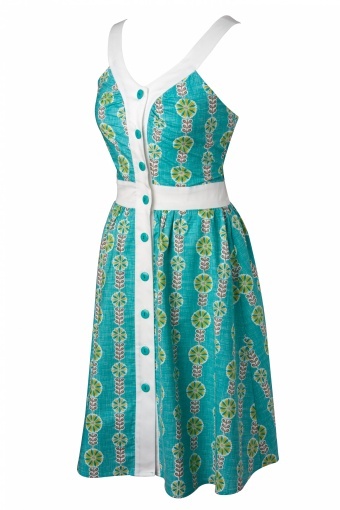 The perfect day / holiday/ party dress!